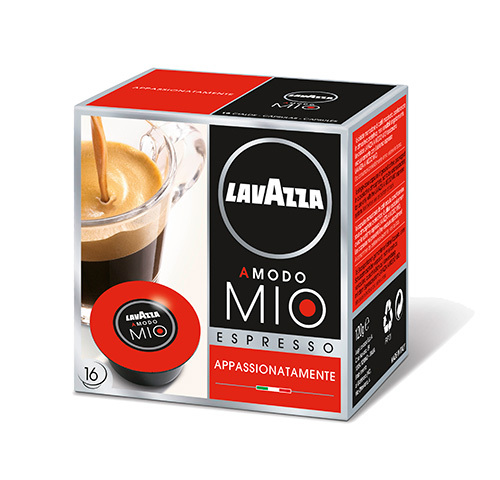 The intervention implemented by Luigi Lavazza S.p.A. reduced the weight of the cardboard packaging containing the A Modo Mio - Espresso Appassionamente coffee pods by 5.3%. The partnership between Luigi Lavazza SpA and IPI SpA - SEDA Group produced another intervention involving the finish on the package. The package was previously subjected to UV polishing (ultraviolet rays), while now it is painted with acrylics. This change reduced energy consumption by 57%. Lightening of the package and the new painting process recorded improvement in all the environmental indicators taken into consideration.